I'm having one of those really good days today. When I say really good day, I don't mean that I can walk or anything. Good days for me is when I don't suffer from really high spasticity, the burning of pins and needles in the lower half of my body, and sharp pains that shoot through my hips. And this was today and that's when I said a really stupid thing. I said, "God, if you just let everyday be like this, I'd be happy." But you know what? It was a lie and it was stupid. I know it and God knows it. I want the full function of my body back. 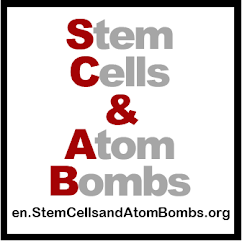 The same cure that many scientists believe possible and that animal studies show is a real. Let's face it. The second I got rid of the pain and spasticity which can be done with some drugs, I'd want my bladder, bowel, and sexual function back, and after I was tired of just peeing normally, I'd want to walk. It's not selfish. It's not 'not being satisfied' with what you have. It's human nature to want progress, especially when science says it's possible. We are often told of the great strides we have made in the world of paralysis. People with paralysis used to die quite early. The paralyzed had constant bladder infections which killed them. And these things have now been controlled. But how many non-paralyzed people are happy just because they're not dead (except for my mother who would constantly tell me to be happy I was alive) or don't have a bladder infection? These gains are not real gains if we’re alive but basically told to “shut up, sit down, and stop hoping for a cure”. It would be like telling the non-paralyzed to strive for nothing except what they currently have. Human society would come to a halt if everyone took that attitude. It reminds me of surveys (stupidity #1, stupidity #2, the biggest stupidity) of quadriplegics and paraplegics that are rolled out by the opponents (yes, I use the word OPPONENT) of a cure every time we say we want to walk. The polls says that most paraplegics put a priority on regaining sexual, bowel, and bladder function in that order, NOT walking. But guess what, as soon as we got those things, we're going to want to walk. For high quadriplegics the poll says that the priority is on breathing without a tube, NOT hand function. But I promise you that the second they can breathe on their own they are no longer going to be satisfied with just this. They're going to want to move their fingers, pee on command, AND run a marathon. If you're not paralyzed and you're reading this, ask yourself; are you happy just because you can breathe? These polls/studies, run by foundations for the paralyzed, WASTED money on them, and are telling scientists and us the paralyzed and non-paralyzed that we should settle. But that's not human nature. The non-paralyzed can walk, so why were things that let us swim like the fish and fly like the birds invented? The non-blind can see, so why were devices that let us see millions of kilometers into space invented? The inventors were often told that they were crazy. That their inventions would never work. And that's what every foundation for the paralyzed that tells us to be happy we're not dead is telling me and you. That a cure is impossible and those who work for a cure are crazy. But it's not true and I have science on my side in this argument and it ain’t just me who says so. I leave you with the words of Dr. Wise Young on a recent talk in New Zealand. Dr. Young is the founding director of the W M Keck Center for Collaborative Neuroscience and a professor at Rutgers, the State University of New Jersey and is currently conducting clinical trials in spinal cord regeneration. Makes total sense to me! Make sure everyone else gets it too! I love your tenacity and willingness to tell it like it is... thanks for sharing so much of yourself to make other understand. 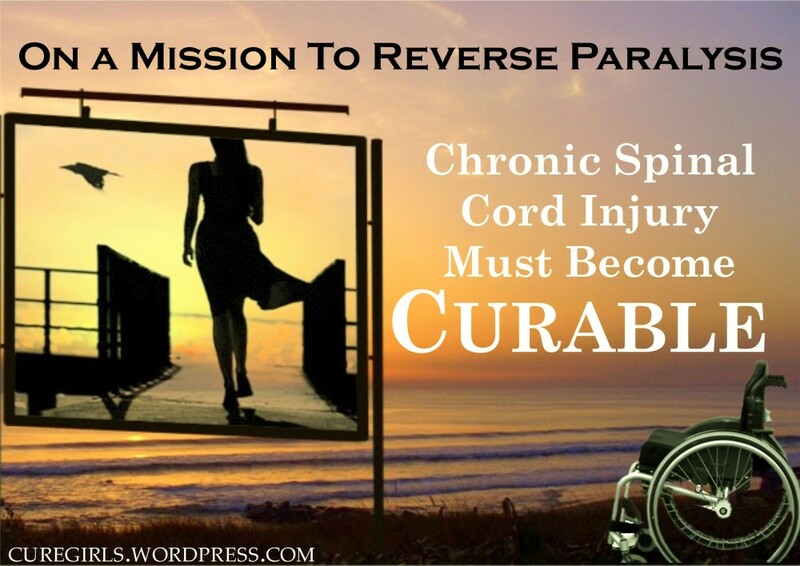 SPINAL CORD INJURY MUST BECOME CURABLE! Your posts sounds lively. You have got a great writing style. Nice sharing and keep posting.